The movement material for this work, originally sourced from play between two young brothers, teeters back and forth between the emotional edges of love and hate, as we see in many young sibling relationships. Yet, when the movement score is transposed onto diverse adult participants, the tumultuous physical relationship is transformed to something both sinister and compassionate, suggesting the complexity of relationships between people in our contemporary society. 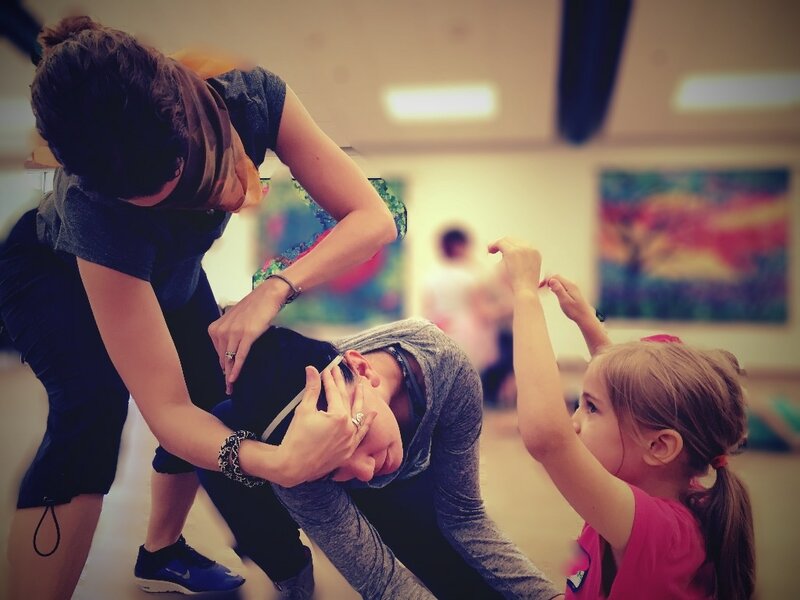 Each class will begin with a short lesson in mindfulness through movement, followed by creative collaboration between participants though guided improvisation. Each participant has the agency to make choices about his/her movement experience - no previous dance experience needed. Who: Anyone interested in moving as a community, no experience necessary!